Looks like the Baja Boot can take on just about anything. If you haven't heard of James Glickenhaus of Scuderia Cameron Glickenhaus, you're not alone. He's an automotive entrepreneur, financier, and a film producer who has formed his own car company that focuses exclusively on high-performance automobiles. His latest creation is the Baja Boot that's mean for off-roading in the extreme. Specs are finally out, and they're seriously impressive. It was rumored that when the Baja Boot went on sale this year, it would be powered by a 5.0-liter V8, which is plenty powerful (considering that size engine powers the very quick Ford Mustang GT). But now that official specifications are out, it looks like Glickenhaus will slot in a big 6.2-liter supercharged LT4 V8 with 650 horsepower (from the Corvette Z06) or the 5.3-liter LT1 from the stock Corvette, which is plenty powerful, too (460 horses). So, both of those are bigger and more powerful than originally rumored. But there's a caveat. SCG (Scuderia Cameron Glickenhaus) states on their site that the two-door model will get the bigger LT4 engine, but the vehicle won't be street legal. It's meant for Baja race-like applications with its racing suspension, 22-inches of wheel travel, and its racing transmission. 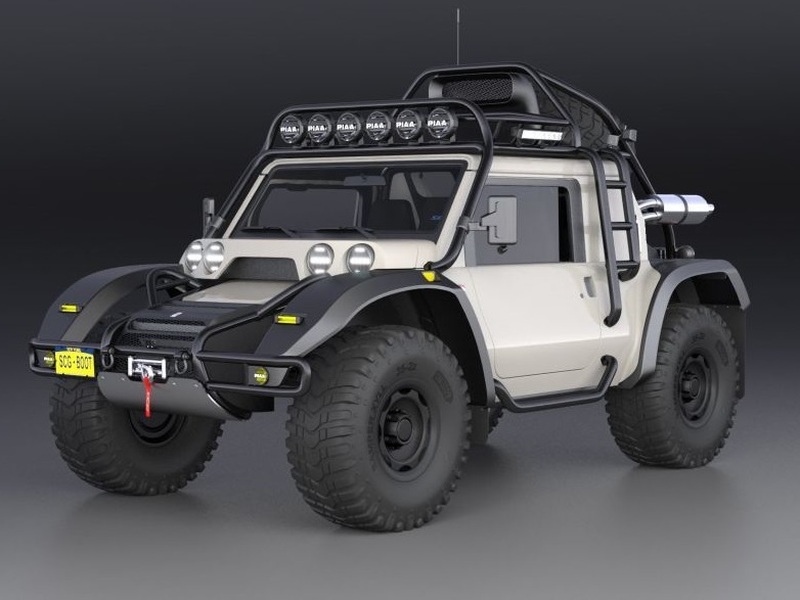 The bad boy will also get big off-road tires, powerful Wilwood brakes to stop the 4,900-lb vehicle, and a long-range 45-gallon gas tank for endurance races. The Baja Boot is purpose-built and ready to take on just about anything. The less powerful version will be street legal and will get the 460-hp LT1 engine. But don't be discouraged that it will be, by any means, soft. It will be four-inches narrower, get 19-inches of wheel travel, 17-inch wheels, Wilwood brakes, and still get the huge 45-gallon gas tank. It looks like both models will get full-time four-wheel drive, which makes sense given the way it will be driven. Thankfully, AC and heat will be available for those hot desert days and cold desert nights. Now, for the pricing. Two-door models will cost about $258,000, and the four-door models will be $287,500. You can tack on a Level 6 armor package for an additional $166,750, which will make the Baja Boot much heavier but will provide protection in areas where safety is an issue. Whatever trim you buy, the Baja Boot is a truly unique and rugged vehicle that will turn heads where ever you go.